Technology can’t be last forever, we have to keep moving on and have to be up-to-date. But the problem arise when we think to upgrade it has to be less risky and minimal of downtime. We always think of a way where low risks are involved. 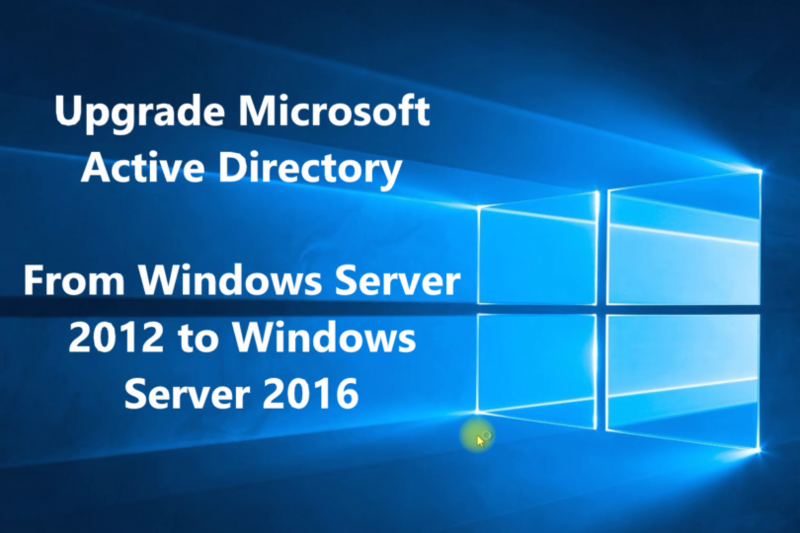 Today, we are going to discuss the simplest way to upgrade “Microsoft’s Active Directory upgrade from Windows Server 2008/2012 to Windows Server 2016” instead of using In-Place Upgrade. Before we start we need to get plan ready in Black and White which means you have to make a migration/up-gradation plan according to your environment. 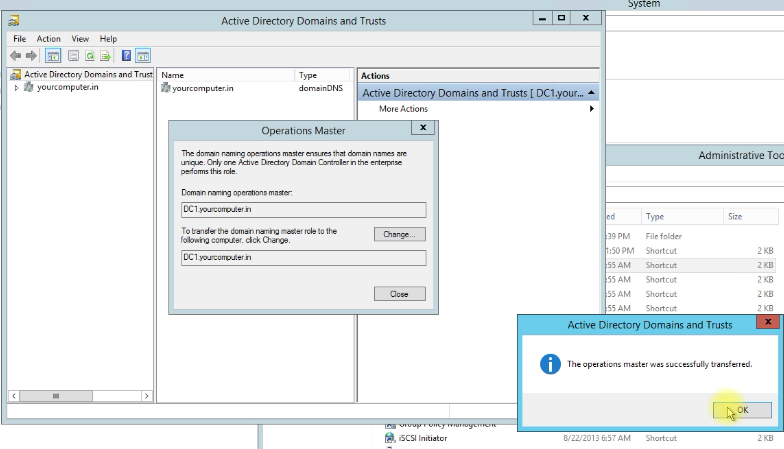 Every organisation has their own Active Directory infrastructure that includes Forest, Trust, Sites and no. of Domain Controllers. 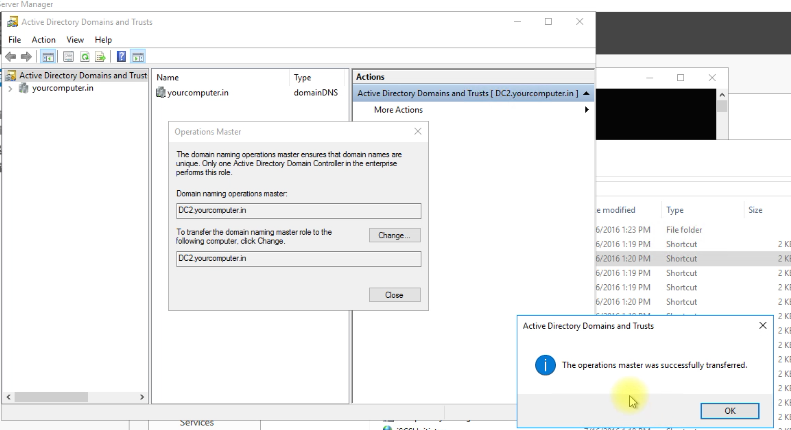 A part from this we have to make sure what other roles or feature an individual Domain Controller may have like DHCP, DNS Server, DFS, FileServer, Radius(NAP/NPS) etc. Before you actual start migration you have to be 100% sure about all other services on Domain Controller may have and make a plan to migrate those Services as well. 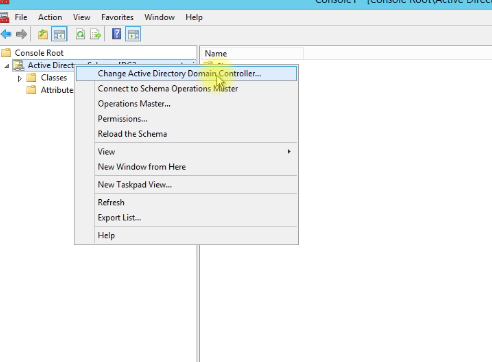 I am going to take an example of an environment wherein I have two Domain Controllers. 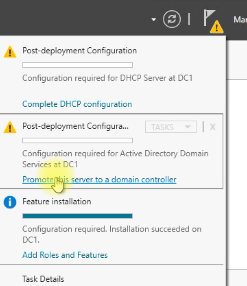 One DC has DHCP and DNS service role and Second DC has only DNS Server. 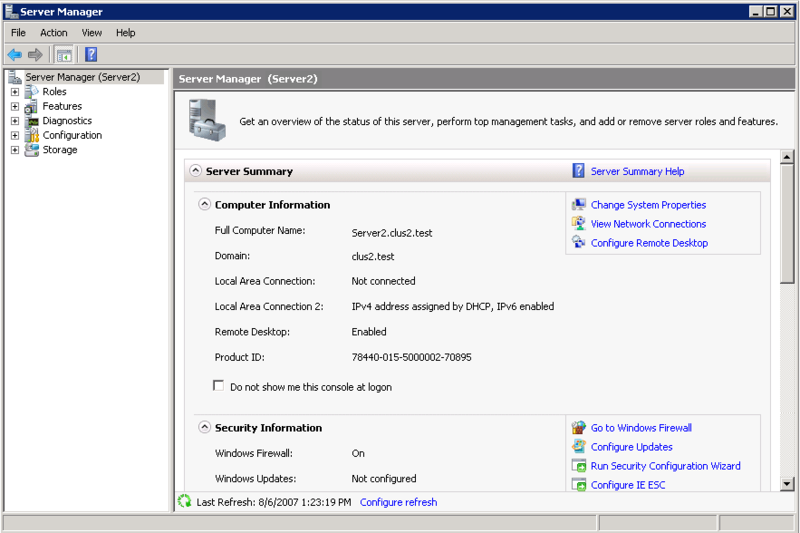 It is a Server 2012 Active Directory Environment with Single Site and Single Domain in a forest. 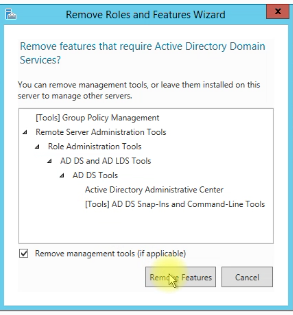 In case, you have Child domain or Multi-Domain in a forest then also the basic concept of migration of Active Directory would be same. 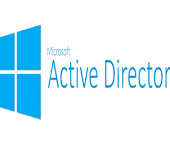 Because Active Directory Itself is an Automatically driven application or Service, which itself take care of many things. It is a simple AD replication which will help to do a migration of Server Platform. 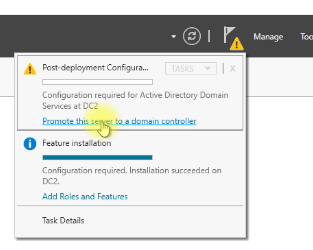 You just need to install/deploy a Server Machine of new Version (Server 2016) and promote it as an Additional Active Directory Controller (ADC) and it will be done. 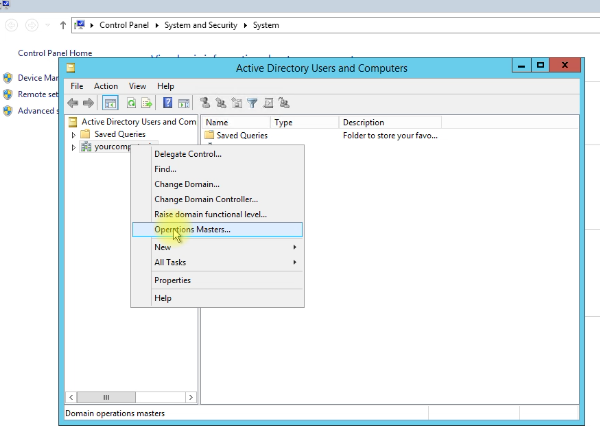 But the main point is to remain use Old Domain Controller name and IP Address and other Service. 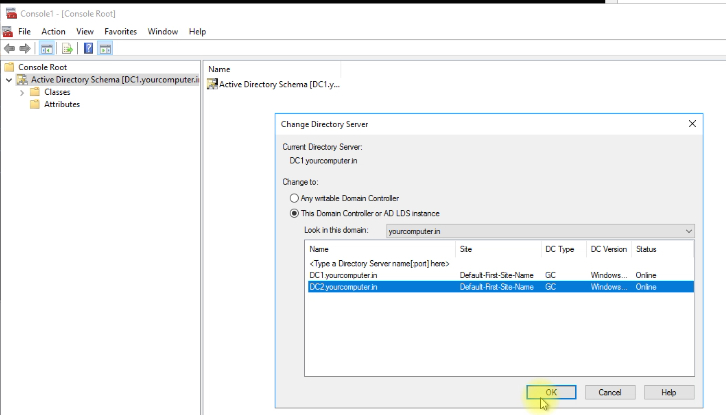 In order to get same IP address and Host Name we have to demote DC2 but before that we have to get this server free from any dependencies related to AD. We really won’t have to do anything if we have AD integrated DNS. 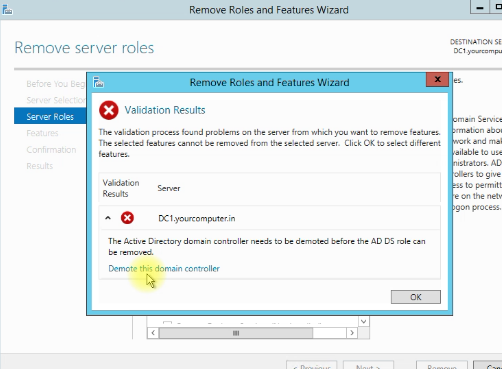 So once we add additional domain controller it will be replicated together. 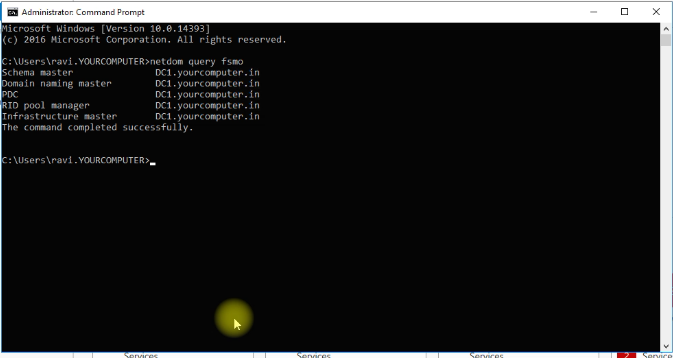 Identify the Roles by running “netdom query FSMO” in Command Prompt. 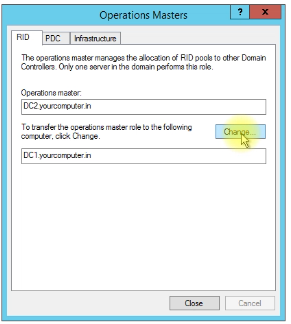 Right click on Domain Name (yourcomputer.in) select Operation Masters. A pop-up windows will be opened that will have 3 Tabs:- RID, PDC and Infrastructure. Choose all Tab one by one and Transfer the roles by click on Change. A Successful Acknowledgement should come with each role transfer. 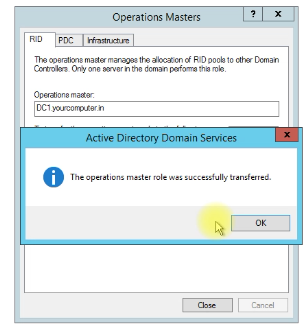 Once 3 roles are transferred successfully move on for Domain Naming Role Transfer. 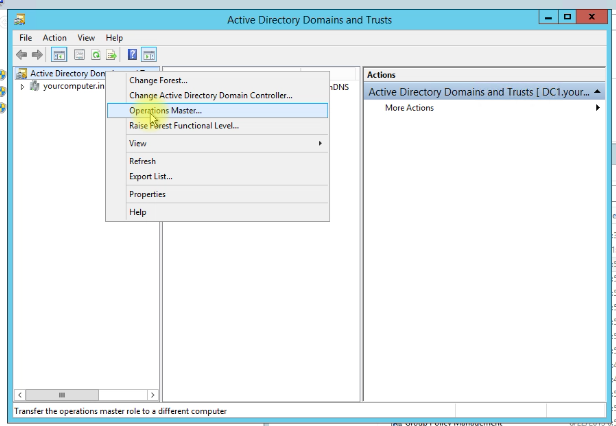 Open “Active Directory Domains and Trusts” from Administrative Tools. Now we have only one role remaining i.e Schema Master. 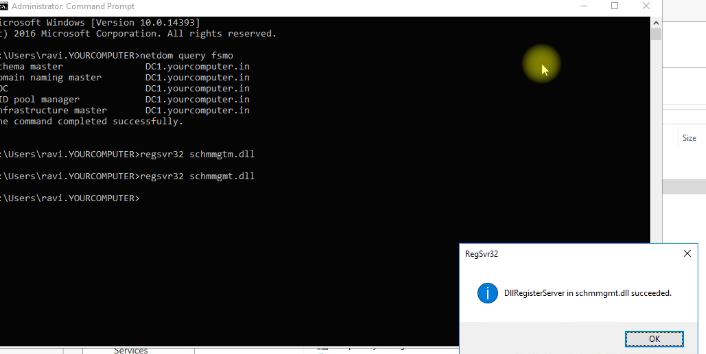 Open a Command Prompt and Type regsvr32 schmmgmt.dll. A successful DLL registered message should pop-up. 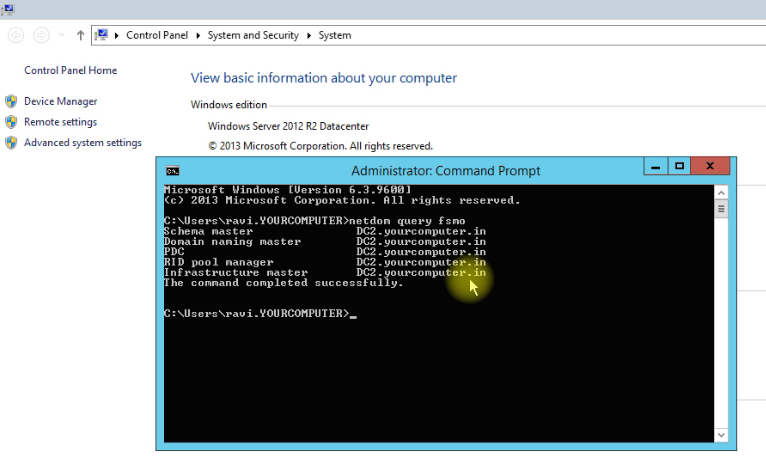 Open MMC (run or Command Prompt). 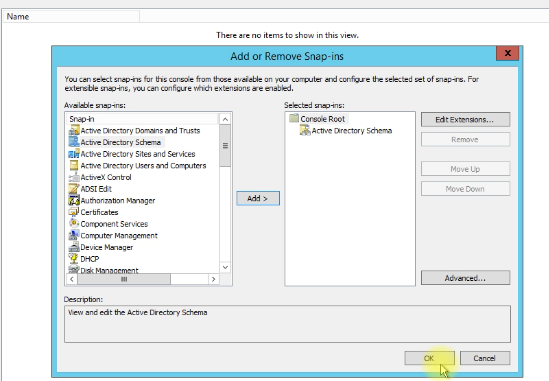 Select “Active Directory Schema” Click Add. Click OK. 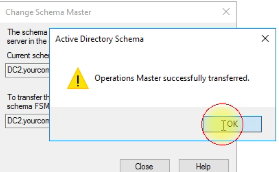 Right Click on “Active Directory Schema” choose “Change Active Directory Domain Controller” and select DC1 (should be the DC to where role has to be transferred). 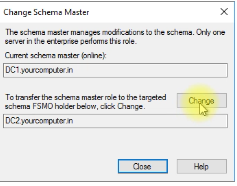 Click OK.
Now all 5 FSMO roles have been successfully transferred to DC1, which means DC2 doesn’t have any dependency and can be demoted. System will be rebooted once demotion is completed. 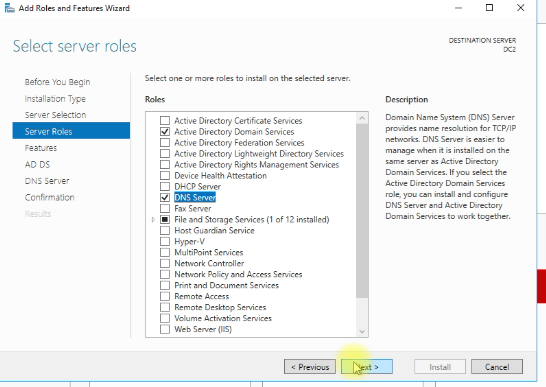 after reboot, server will be a part of Domain as a member server. 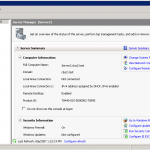 Login to the server with same domain credentials. Change the IP address and power off this machine. Also make sure that Computer Account is deleted from AD and DNS record is cleared. It is a time to install new Windows Server 2016. 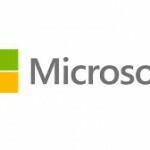 Deploy/Install new Windows Server 2016 according to Hardware requirement and patch this server to the latest. 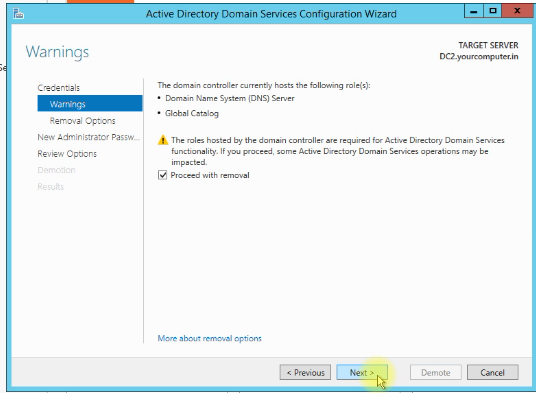 Change the Hostname of this Server to “DC2“(same as old) and IP address (same as old), Verify DNS in IP configuration. Restart the machine. 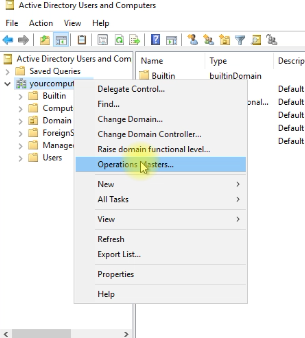 Install “Active Directory Domain Service” and “DNS” role with all dependent features. Post role installed. 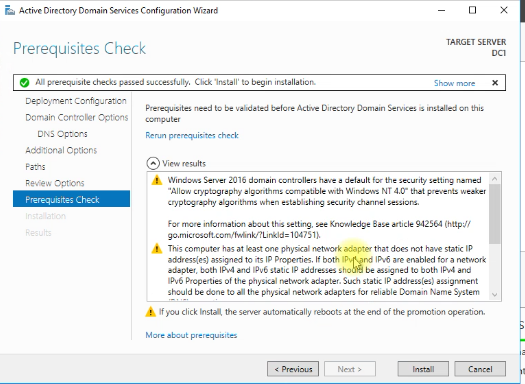 Promote the domain controller. 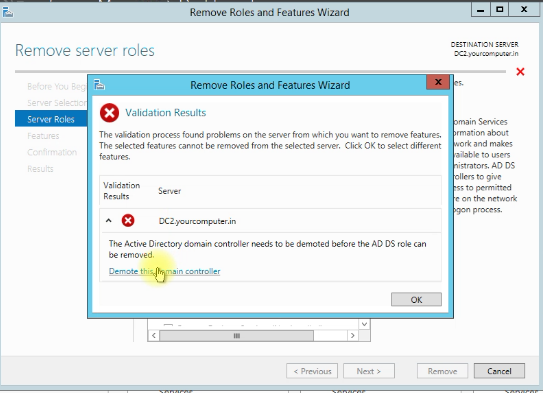 Choose Join this DC to existing Domain, provide Domain credentials, DSRM Password and complete the wizard. After Reboot machine will be a Domain Controller. Verify DNS Server and other things. As we have transferred all FSMO roles earlier to DC1. It is a time to revert it to DC2. 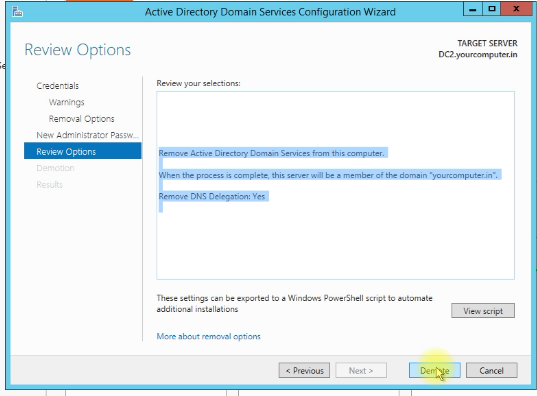 RDP to Domain Controller:- DC2.yourcomputer.in. Click Change. A Successful Acknowledgement should come with role transfer. Click OK. 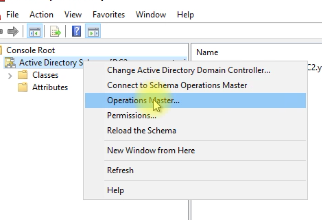 Select “Active Directory Schema” Click Add. 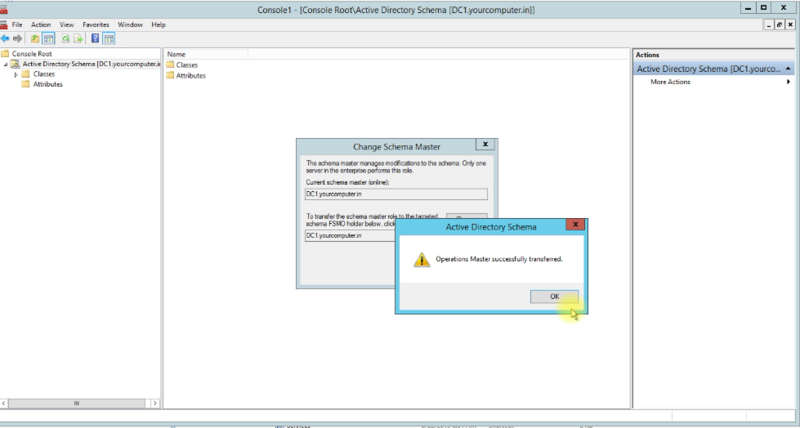 Right Click on “Active Directory Schema” choose Change Active Directory Domain Controllers Select DC2.yourcomputer.in (should be the DC to where role has to be transferred). Now all 5 FSMO roles have been successfully transferred to DC2, which means DC1 doesn’t have any FSMO Role dependency and can be demoted. A DHCP is a different from AD. But it needs a downtime or if you have configured DHCP failover then there won’t be a downtime. Though you need to unauthorized DHCP Server from AD after taking the backup. A backup can be taken by using DHCP console, right click on Server Name, select Backup choose destination folder and copy the backup to any other save location out of this server. 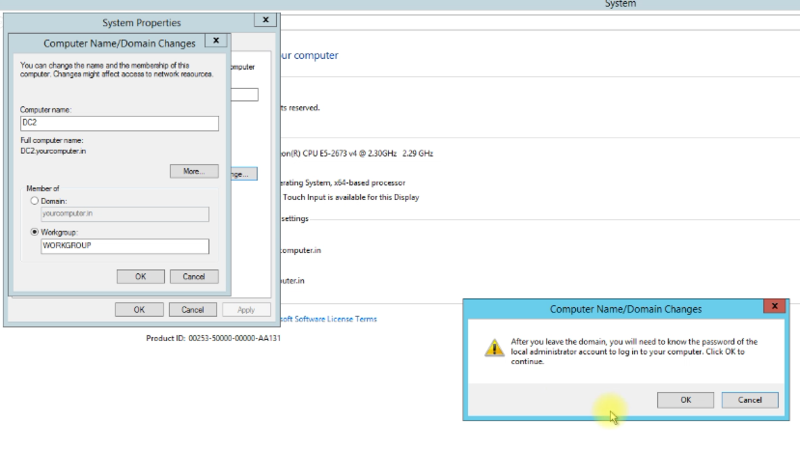 RIght Click DHCP server and unauthorize it. Now, DC1 is free can be demoted following the same steps of DC2. 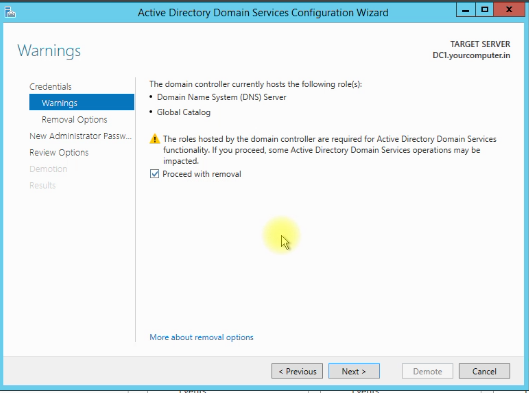 Uncheck Active Directory Domain Services, a pop-up message will come to demote domain controller. 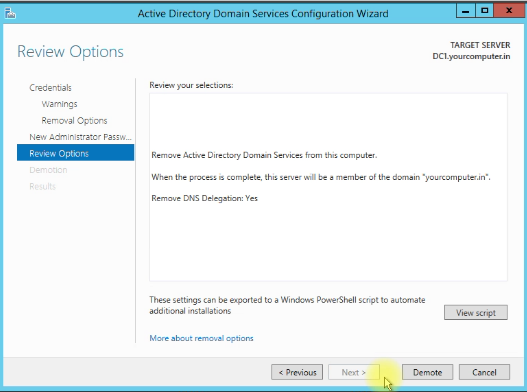 Unjoin DC1 from domain, remove remaining DNS and DHCP Role. 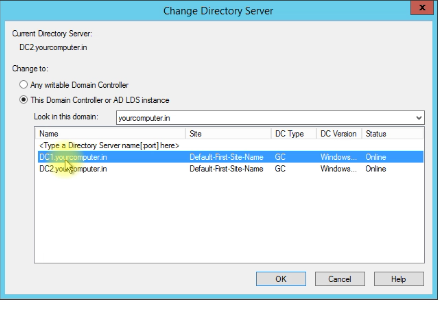 Change the Hostname of this Server to “DC1“(same as old) and IP address (same as old). Restart the machine. 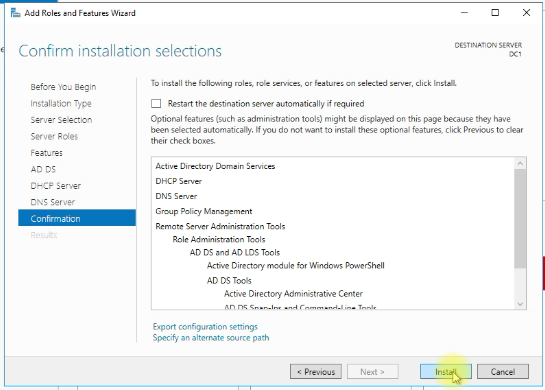 Install “Active Directory Domain Service“,”DHCP” and “DNS” role. Verify DNS and other things. 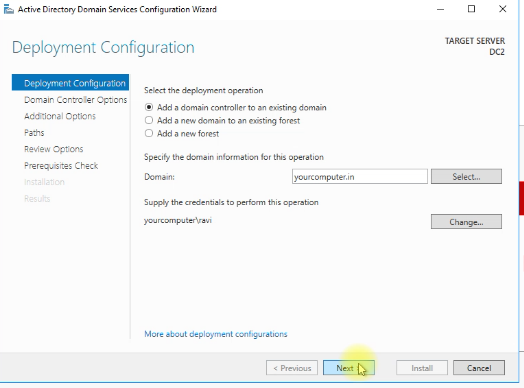 We have successfully migrated both Domain Controllers to Windows Server 2016 platform with same Hostname and IP address. 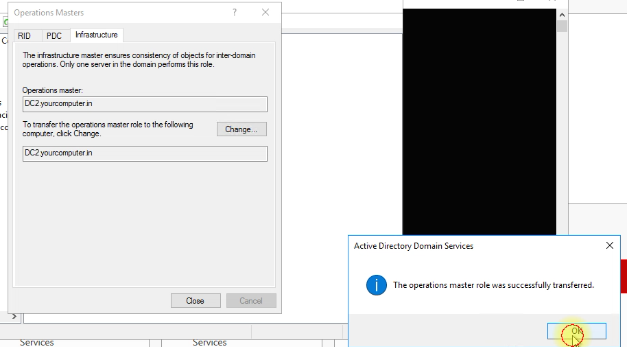 You may now raise the domain functional level to Windows Server 2016 in case you don’t have any older version Domain Controller in Domain. That’s it folks for now. 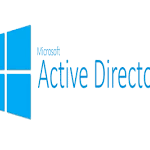 I hope it is a useful information to all the Active Directory System Admins. Don’t forget to like or share this share this post or Video.